The media has been full of stories about a new study suggesting that bare classroom walls are a better learning environment for children than decorated ones. In many ways, this research is a great example of some of the problems with much education research, much of which you can read about in The Best Resources For Understanding How To Interpret Education Research. The education question we should be asking is by Alfie Kohn. Bare Walls and Poor Learning? The Trouble with the Latest Headlines is by Daniel Willingham. 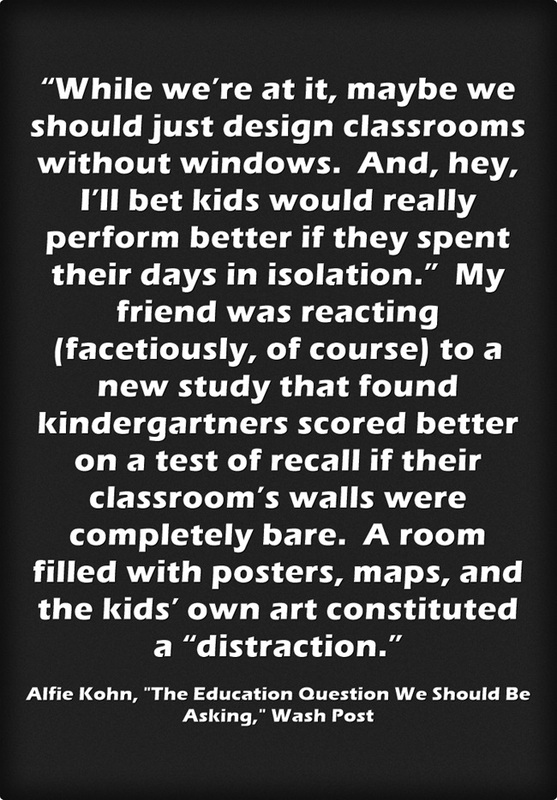 Rethinking the Colorful Kindergarten Classroom is from The New York Times. 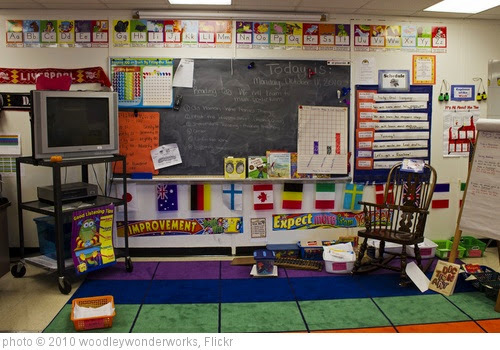 Study Shows Classroom Decor Can Distract From Learning is from an NPR station. Heavily decorated classrooms disrupt attention and learning in young children is from Eureka Alert. The top of this chat has some interesting info on the study. I take issue in the study with the use of the word “decorated”. Not all wall coverings in classrooms are purely for decoration or to create a homey environment. The idea is also create a print-rich environment to add to and extend the learning; examples of print and models from lessons (such as a writing lesson) are especially crucial for ELLs.